Courses include: anthropology, art history, business, economics, education, geography, health sciences, history, internships, literature, marketing, music, political science, religion, sociology, Spanish language, STEM. This program is designed for Beginner and Intermediate level Spanish students who wish to complement their study of Spanish with elective courses taught in English in Spanish literature, history, economics, politics, art and more. Students can take up to 5 courses. Spanish Grammar and Spanish Speaking and Writing Skills are required and are the only two courses taught in Spanish at your level. Then choose 2 or 3 electives. Each course meets for 45 hours and is recommended for 3 semester credits. Previous Spanish language study is not required. This program is designed for high Intermediate or low Advanced level Spanish students who wish to further their Spanish language study and take elective courses taught in Spanish in literature, history, politics, economics, art and more. Courses meet for 45 hours and are recommended for 3 semester credits. Spanish Grammar and Spanish Speaking and Writing Skills are required courses. Then choose 2 or 3 electives. Students are encouraged to take all of their electives in Spanish but may choose courses from the Spanish Language and Culture program taught in English if they wish to. Typically students with 2 or 3 years of college level Spanish study place into this program. The placement test will determine your level and whether you can enroll in this program. Students at the high Advanced level (typically with 4 years previous study of college level Spanish) are encouraged to take this program. One Spanish language course is required. Students can then take up to 4 electives taught in Spanish. Elective fields include art, business, literature, history, economics, geography, music, politics and sociology and more. Courses meet for 45 hours and are recommended for 3 semester credits. A placement test will determine your level and the possibility of being enrolled in this program. Give your Spanish skills a headstart and earn an extra 5 or 4 credits by choosing the Early Start option. 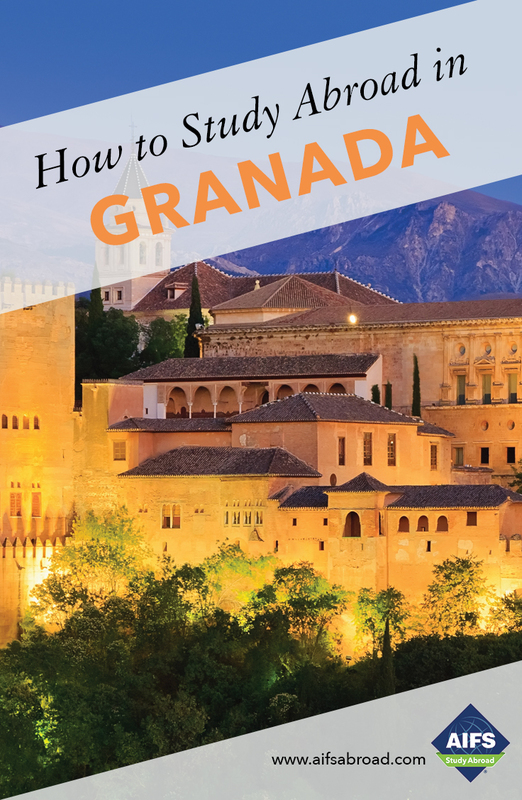 Students taking this option will arrive in Granada before the semester begins and take an intensive Spanish language course focusing on grammar, conversation and culture. All levels of Spanish are available from Beginner through to Superior and Bilingual. The placement test on the first day after your arrival will determine your level and consequently which program you may be enrolled in for the semester. The Optional Early Start Program gives you a good opportunity to improve your Spanish before the semester begins and increase your chances of getting into the programs which require a higher level of language competency. Upon successful completion of the preparation course, you may progress to the next level of Spanish for the semester. The course also gives you the opportunity to make a gradual adjustment to academic life and living in Spain. The Early Start Program runs for 4 weeks in the Fall for 80 hours (5 credits) and for 3 weeks and 60 hours (4 credits) in the Spring. *The fee includes housing in a homestay or apartment. Students choosing the residence option will pay $2,295 for the Early Start Program. The International Internship Program (PPEE- Programa de Prácticas para Estudiantes Extranjeros) gives students with an upper Intermediate level of Spanish and above the opportunity to intern in a local business, in a private hospital shadowing and working with healthcare professionals, in an NGO or as a student teacher in a local school. In a competitive and global employment market, practical experience in a real-life workplace is an invaluable addition to classroom-based learning. This program gives students with the required level of Spanish the opportunity to gain vital insights into a specific career field, experience in the global workplace, practical exposure to the demands of specific jobs and will develop both professional and personal skills. Students accepted onto the program will complete a 3-credit, 45 hour total or a 7-credit, 120 hour* total internship. (The internship will count as one of your four or five semester courses). Students wishing to intern in a local school or in an NGO must place into Spanish 205/207 upper Intermediate B1.2 level or above. Students wishing to intern in a local business or in a hospital must place into Spanish 305/307/308 upper Advanced B2.2 level or above. Students taking the medical internship must be studying relevant (major or minor) health courses as part of their degree program in the U.S. The internship includes group seminars and individual meetings with the University of Granada Internship Coordinator in order to prepare you and support you through the internship. Upon completion of the internship, students will present an internship diary and give an oral presentation for a final grade. The internship will appear on your semester transcript. All internship students take the required Spanish courses. For the remaining 2 or 3 electives students can choose courses from the Spanish Language and Culture Program in Spanish or courses from the Advanced Hispanic Studies Program. Courses meet for 45 hours and carry 3 recommended credits. *Please note that students pay a fee supplement of $525 for the 120 hour internship. The 120 hour internship is not available for students wishing to intern in an NGO. This is a competitive program with limited placement and we recommend that you apply early. For further information on the application process please contact the AIFS Admissions Officer. Founded by Emperor Charles V in 1531, the University of Granada is one of the most prestigious public universities in Spain. Known for its excellence in teaching Spanish as a second language, the University has courses in Spanish language and culture to suit varied levels of expertise. The undergraduate and postgraduate student population totals over 60,000. Students attend classes at the University’s Centro de Lenguas Modernas (CLM). The University has dedicated this Center to the teaching of Spanish, Hispanic Studies and Language and Culture to foreign students and to their integration into Spanish society. The Center consists of two beautiful historical buildings which have been totally renovated and equipped with modern classrooms, audio-visual equipment, computer facilities and a library. Small teaching groups are the norm and all professors are native Spaniards. AIFS students at the University of Granada will participate in a diverse and dynamic community of students and faculty from all over the world.